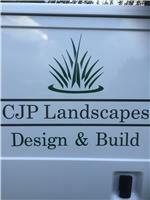 CJP Landscapes - Builder, Landscaper based in Sunbury-on-Thames, Surrey. CJP design and build are a family run business supplying a variety of services. We cover all aspects of rennovations, extensions, conversions, alterationsand landscaping. Our portfolio is rapidly growing. We commit our selves to quality and guarantee our work. We we look forward to hearing from you.